IT is one of our favourite books from Stephen King; a lot of year have passed by since the time we read this literary opera and we are very excited about the new movie. Many of us surely know that IT is also the acronym for information technology and probably many of us cover such a work position. 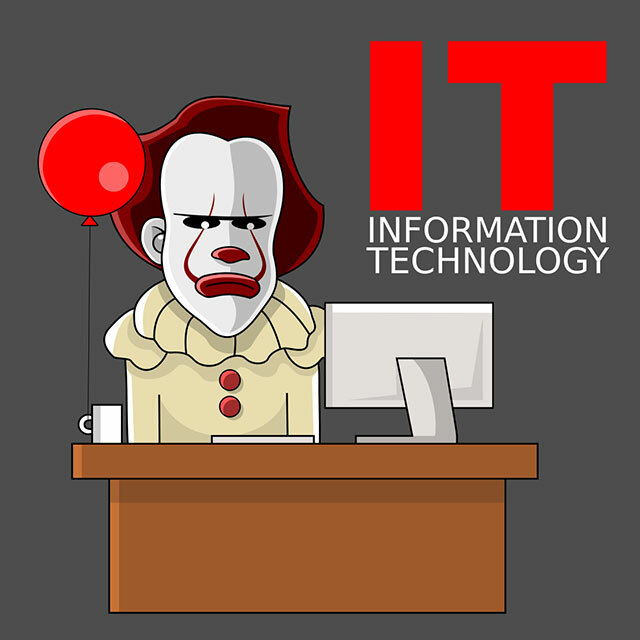 This is our fan art, just try to ask yourself â€œWhat if Pennywise would work as an IT employeeâ€�?